A Senate committee hearing on Andrew Puzder, President Trump's nominee for Labor Secretary, has been pushed back for a fourth time because his paperwork is missing. Puzder was scheduled to testify before the Senate Committee on Health, Education, Labor & Pensions on Feb. 7. His hearing won't be rescheduled until the committee receives his paperwork from the Office of Government Ethics, according to an aide to Sen. Lamar Alexander, the committee's chair. Puzder is the CEO of CKE Restaurants, which runs Hardee's and Carl's Jr. fast food chains. The indefinite postponement caps a contentious day of confirmation fights. The Senate Judiciary Committee delayed a vote on the nomination of Sen. Jeff Sessions for attorney general Tuesday morning. And Senate Democrats announced they would boycott the Senate Finance Committee's vote on Rep. Tom Price to lead the Department of Health and Human Services and Steven Mnuchin to head the U.S. Treasury. 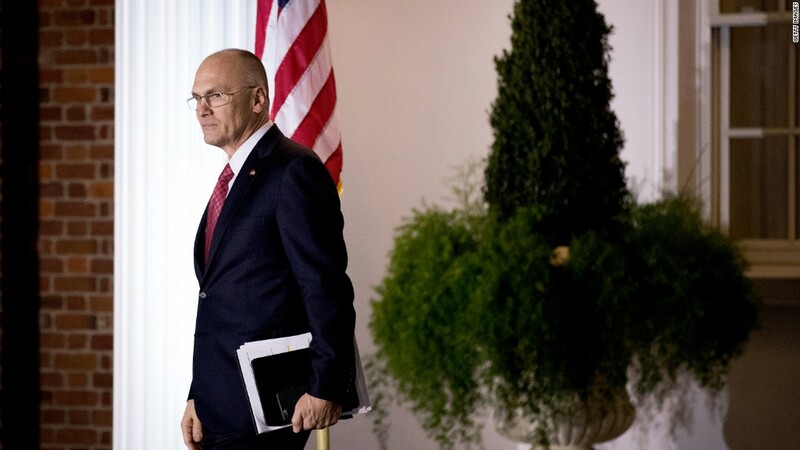 Puzder's appointment has been challenged by labor rights activists and Democrats from the start. The fast food exec has a long record of fighting against government regulation, a $15 minimum wage and the Affordable Care Act. Now, opponents say his missing paperwork raises additional questions. "I've been very concerned to see Republicans trying to jam nominees with extensive financial entanglements through the committee process, so to be clear: If and when Mr. Puzder does produce paperwork and his hearing is rescheduled, I will expect a date to be set that allows plenty of time to thoroughly review his documents," Patty Murray, the top Democrat on the Senate HELP committee, said in a statement. What's missing from Puzder's file is a plan to avoid any financial conflicts of interest, as well as his committee questionnaire, which asks for financial information and personal history. Before starting their new jobs, nominees for Senate-confirmed positions have to make a plan with the Office of Government Ethics to resolve any potential conflicts. The ethics agency then sends the relevant Senate committee a package with the nominee's ethics agreement, his or her financial disclosure report and a cover letter certifying the report. The information is typically released to the public a day later. — CNN's Laura Jarrett contributed reporting.